An idea that sounds absolutely amazing. This camera uses the same light that hits it’s sensor to both take a picture and power itself. The concept developed at Columbia University combines a camera image sensor’s ability to collect and measure light with a photovoltaic cell’s capacity to convert some of that light into energy. During each image capture cycle the pixels in the sensor first record and produce an image then harvest energy and charge the sensor’s power supply. While at this stage it isn’t capable of all that much, its still amazing that it even works. I can image that in the future most cameras will use this to increase battery life. 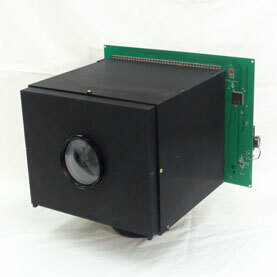 Nayar’s prototype camera does not need a battery but instead uses a supercapacitor that is continuously charged by energy harvested from the image sensor’s pixels. The current iteration of the camera can capture black-and-white 30-by-40-pixel images each second over an indefinite period of time for a scene that is about 300 lux in brightness.